I need to tell you something: I’ve found the most inspirational and badass book. You’ve probably heard hundreds of people talk and rave about it. If not, where have you been? 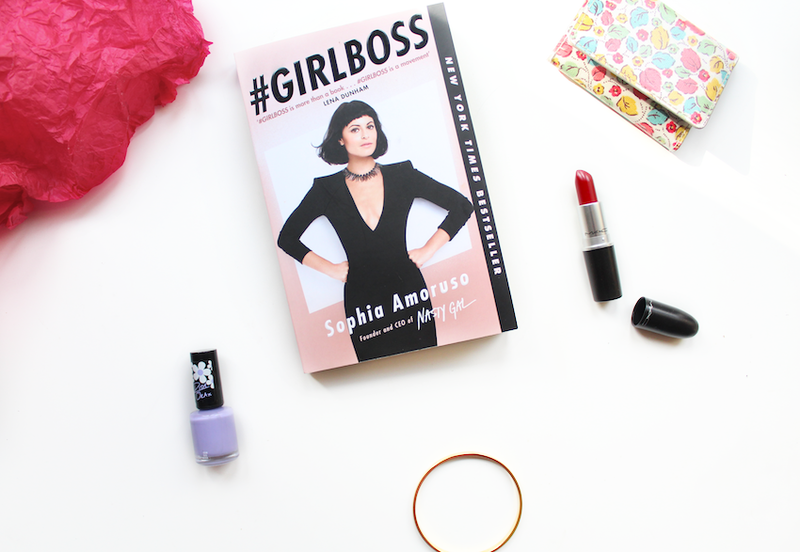 I’m talking about my new favourite book: #GIRLBOSS by Sophia Amoruso. The humoristic and somewhat sarcastic way she explained her story captivated me and had me glued to the pages. I would totally recommend it to anyone who’s looking for a lifestyle kind of book. It’s great, trust me. 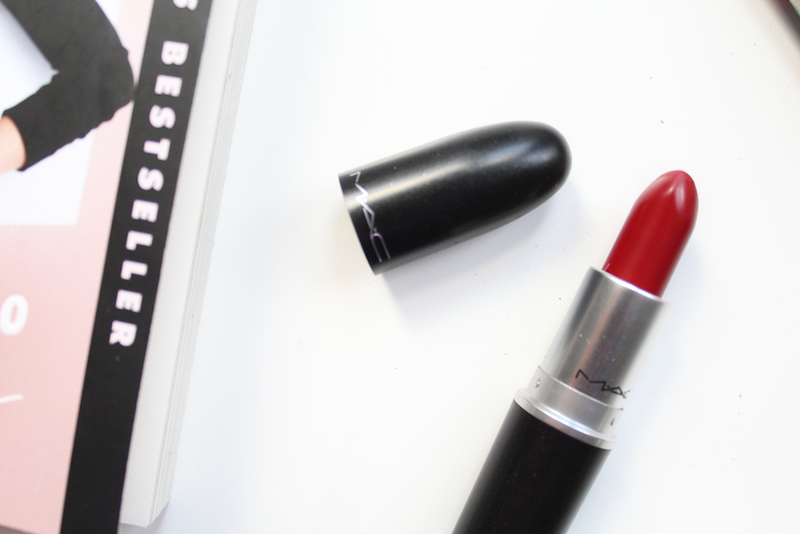 Another favourite of mine is a recent addition to my MAC lipstick collection that I got through a giveaway! It’s in the shade Russian Red and has a matte finish. I have to say I used to NEVER wear red lipstick as I thought (and still think) they didn’t suit me. I don’t know what it is about this shade but it’s the first red lipstick I’ve ever tried that looks good on me so props to you MAC. I recently got my belated birthday presents from some of my friends and one of the things I got was this gorgeous Kate Spade Bangle. I’ve been in love with it ever since I first saw it in November but couldn’t justify spending that much money on it. 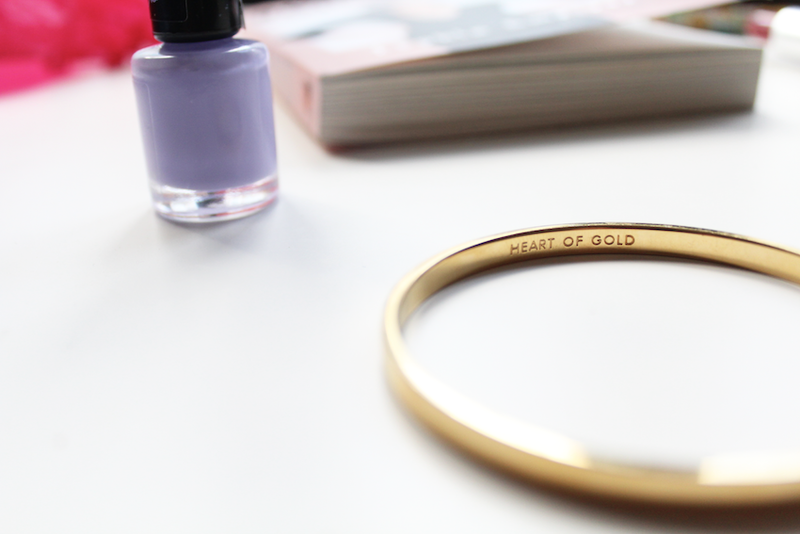 It’s such a cute bangle though, I love how simple and minimalistic it is. It says ‘Heart Of Gold’ on the inside which I think it’s just adorable and totally represents me because, I mean, I am gold *insert princess emoji here*. After loosing not one, but two cards in the a week or less I decided I had to stop shoving my cards in my pocket so I got a card holder. This one is from Cath Kidston and even though I’m not totally in love with the design itself, it’s proven to be super useful and it’s helped me keep all my cards in one place and not loosing them. Finally, another recent favourite of mine is Rimmel’s nail polish in Go Wild-er-ness. It’s a beautiful lilac which I think will look even better during the summer/spring time. It’s the first nail polish from Rimmel that I ever try and I’m quite happy with the both the pigmentation and how long it lasts - around a week applying a top coat. If you want, you can check out my previous Recent Favourite posts! What have you been loving recently?